This rifle was made for the U.S. Army chambered in .50-70 government. There were just over 10,000 of these rifles made. This is the first military contract rifle made with the safety system that requires the hammer to be recocked after the breech block is closed before the rifle can be fired (a feature that was repeated on the New York State Rifle contract). Identifying characteristics include the receiver stampings shown in the photos below, the safety feature, as well as the rotary drum style firing pin retractor that is unique to this model of military rifle (see the left side of the breech block). 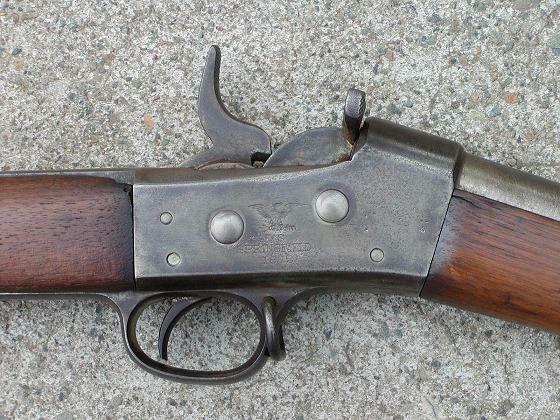 While the bottom end of the hammers are machined the same, the hammer spur on the 1871 is not the same as the taller hammer found on the New York State contract rifles. ​Cleaning Rod, this is the double shouldered rod with flat tip used for the 1871. This rod is not used w/ any other military rolling block rifle. Repro. Roller Main Spring. This is the original type mainspring for the 1871 Army rifle. 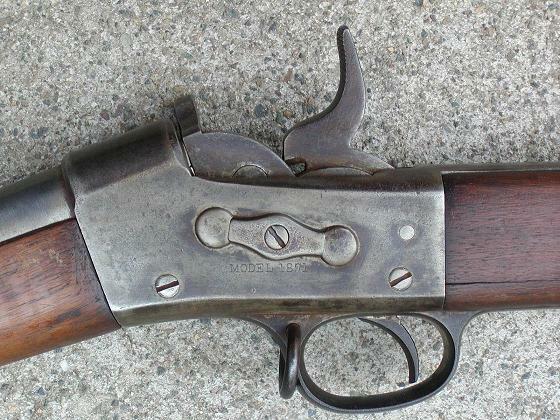 The standard mainspring used with all large frame rolling block rifles will function in the 1871.